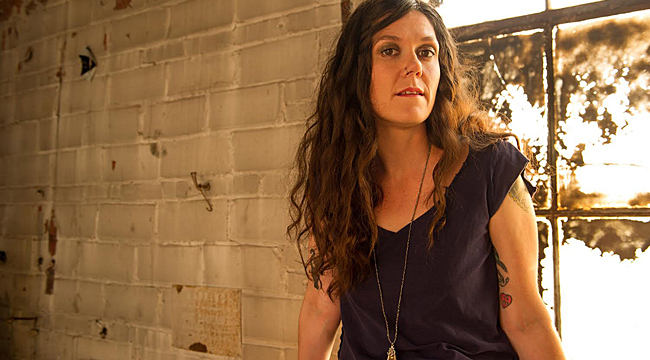 Daughter of singer-songwriter John Hiatt, singer-songwriter Lilly Hiatt just embarked on a tour in support of her sophomore record, Royal Blue, which was produced by Adam Landry (Deer Tick, T. Hardy Morris, Diamond Rugs). Her music recalls feisty female singers such as Lydia Loveless, Sharon Van Etten and Jenny Lewis. Featuring pedal steel guitar, many moody songs on Royal Blue have twang to them. The 12-track collection also reveals Hiatt’s love for acts such as the Breeders and Pixies. She spoke to us from her Nashville home. You were exposed to music from an early age. At what point did you decide to pursue a career? I did grow up around a lot of music and a lot of records. It was something that was a big part of my upbringing. I started writing songs at 10 or 11, not seriously but as a means of expression. I think it was something imbedded in me from early on. You grew up in Nashville, left and came back. Is that right? Yeah. I went to college in Colorado and then went back to Nashville and I moved to Austin for a little bit and came back. I played a lot by myself until I was 20 then I met a friend who was a music school kid there and he really encouraged me. I was really shy so it was a big adjustment but it was fun to have someone to play with. Were you going for something specific sonically with this new album? Not so much necessarily. A little part of me wanted to give a finger to the whole “if you’re a singer-songwriter you need to do this kind of thing.” The sound we got wasn’t contrived. It was just what happened. It was fun. We just wanted to let loose without overcompensating. Was it hard to let loose in the studio? No. It’s super easy to do that in the studio. You’re with your friends and behind closed doors. You can do whatever you want. If you have a producer up for it. That’s the key. You’ve said it is about “accepting the sadder aspects of life and finding some peace in them.” Talk about that. I think that when I said that I meant that it was about growing up. It doesn’t have to be a heavy thing, but you come to some stark realizations. There are some lessons learned. Everything is not so black and white and you have to be alright with it. That wasn’t the theme I intended to make throughout the album but it shows up because that’s where I was at when I made the album. Did something trigger those themes? I think a lot changed for me during the couple of years I got those songs together. It wasn’t horrible. It was just growing up. You deal with painful things because you expose yourself to some painful things. You learn how to deal with them better. Yeah, totally. I think when you grow up, you learn you can be next to someone and still all alone. You cite the Breeders and Pixies as influences. Have you listened to those bands for a long time or are they recent discoveries? I’ve liked those bands for a long time. When I was a kid, my brother was at the right age for all that stuff. I was a little young for it. He got me into all that cool indie rock. The Breeders were one of my first favorites. They’re just girlie and cool. Do those influences come across on the record? I’m sure they do just in the fact that everyone who made the record was a product of the ‘90s heyday whether we gravitated toward the music or not. When we were making the music, our ears dug some of that back up, not even intentionally. I think it’s an inspiration. Do you consider Chris Isaak an influence? I’m flattered by that comparison. I can hear what you’re saying. He had some cool stuff in the ‘90s. You’ve assembled a terrific band. Talk about what they bring to the albums and to the live show. The thing with my band is that it’s ever rotating. I have seven people in Nashville that I play with. The band that made that record isn’t always the band that I take on the road. They might play with eight bands but they’re all band-member mentality. We’re all collaborating and it’s pretty interesting. I see you’ll be in the Midwest soon. Have you played Cleveland before? I have had two shows, both opening for acts bigger than myself. One show, they hated me and one they loved me. Early in 2011, I opened a show for my dad. It was at House of Blues. It was just an odd evening. They didn’t hate me, but it didn’t go over great. Then, I played at Lakewood Civic two years ago and opened for Jewel and it was really great. Maybe your dad’s audience is getting older and surlier. He has some awesome fans. I want to build my own fans. I get some cool dudes showing up at my shows in a John Hiatt shirt. They’re into music and they like raw lyrics. In any crowd, there’s always people who just want to see the headliner. It’s fine but it’s a little bit of a bummer because you can feel when an audience is open to you or not. It doesn’t always revolve around how good of a job you’re doing.